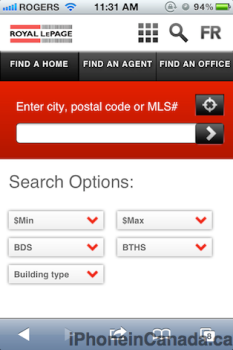 Royal LePage has launched a new mobile site compatible with the iPhone and other smartphones. 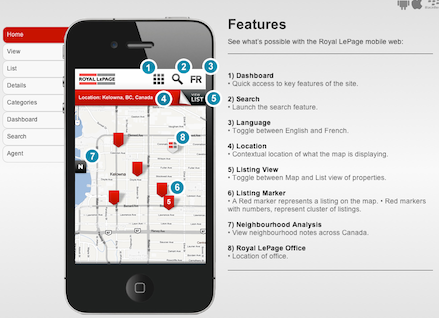 Visitors to royallepage.ca via their iPhones will be greeted with an easy to use mobile site, that can take advantage of your location to determine listings around you. 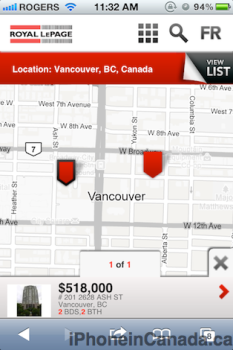 The site will also allow sellers and agents to leave comments on listings to provide further insight to users. 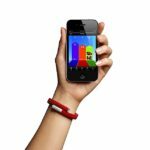 The interface is simple, and there is also support for French as well. You can check out the Royal LePage site here to learn more about the features, plus an included FAQ as well.